In photography, aspect ratio matters. It is the width and height of an image expressed as a fraction reduced to its lowest common denominator. These dimensions have been standardized over the decades by camera and film manufacturers. 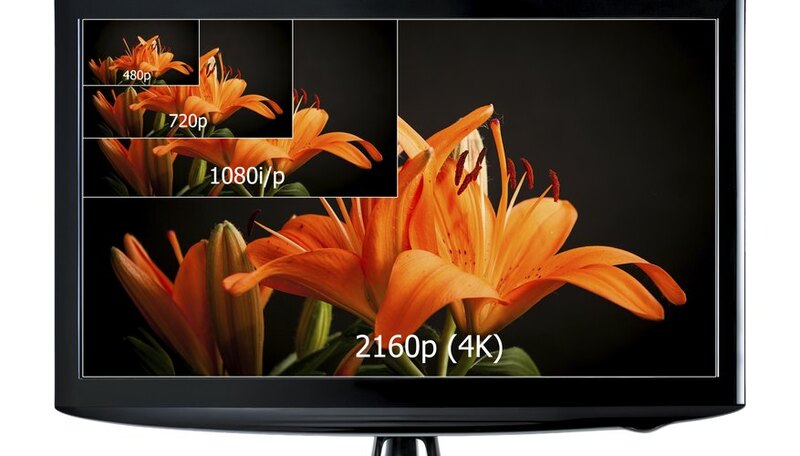 Most modern cameras have aspect ratios of 3:2 or 4:3, but television and film displays are quite often 16:9. Converting a picture from a 4:3 aspect ratio to a 16:9 aspect ratio can present challenges. Most 35mm film frames measure 36 x 24mm. Expressed as a ratio, it is 36:24 -- or, simplified, 3:2. This aspect ratio has been used since early in the 20th century when Leica made the first 35mm film cameras. When digital camera sensors were developed many manufacturers followed that format, especially for digital single-lens reflex or DSLR sensors. Many consumer-grade and compact cameras use a 4:3 aspect ratio. When movies were first made each frame was roughly 4:3, but when television became popular the movie industry widened screens to compete. The result was the 16:9 aspect ratio. Now that movies are often viewed on television and computer screens, many new high definition televisions screens and computer monitors use the 16:9 format, too. Enlarging or blowing up a 3:2 picture to 4 inch x 6 inch snapshot size is simple: multiply each side by 2 to get a 6:4 or 4:6 picture. Blowing a 3:2 picture to 16:9 is not a simple matter because 16:9 is not an even multiple of either 3:2 or 4:3. For example, if you multiply a 4:3 picture by 4 to achieve 16 inches on the long side the short side will be 12 inches, which would be too tall for most video displays. If you stretch the picture to conform to the 16:9 ratio without adjusting for the difference in ratios it will distort the image. This may not be a problem in a landscape, but it can make human subjects look unnaturally wide. You can add extra area either to the top and bottom or the sides of the picture so that the entire original picture is included. That gives bands at the top and bottom or sides of the picture. This format is called "letterbox" and is common in DVDs. You can also copy a section of an empty sky or an undetailed foreground and paste them on the top and bottom of the image, though this requires an understanding of blending techniques in photo editing software like Adobe Photoshop. Reducing a photo’s size by removing part of the photo is called cropping. It’s like using scissors to physically cut part of the photo off. You can crop a 3:2 or 4:3 picture to 16:9, but doing so will remove the top and bottom of the picture. Cutting off some empty sky or a field with no particular detail is not a problem, but lopping off the tops of people’s heads can ruin a photo. Enlarging photos can result in reduction of picture quality. The visual quality of a picture is determined by the resolution -- the number and size of pixels per unit of measurement. Depending upon the setting of the camera when the photo was shot, images can be 72 pixels per inch to 1000 ppi. Photo sizes are often shown as the number of pixels per side of a rectangular image; for example, 1024p x 768p, which would be acceptable for a 3:2 or 6 inch x 4 inch print. For a 16:9 image, that pixel size would cause the image to show too much pixilation with jagged edges and digital “noise.” A better pixel size for 16:9 images is 1920p x 1080p. Dee Shneiderman, former librarian and paralegal, has been writing for 40+ years. Published in Compute! Magazine, she helped found The Crescent Review literary magazine. Owner of Frugal-Foto Photography, she holds a Bachelor of Arts in English, a Master of Library Science and a North Carolina Truck Driver Training certificate. What Is Considered a Low-Resolution Image? What Is the Difference Between Overexposure and Underexposure in Photography?